Do you have questions about our JA Solar solar panels, or questions about solar in general? Give us a call at 1-800-472-1142. 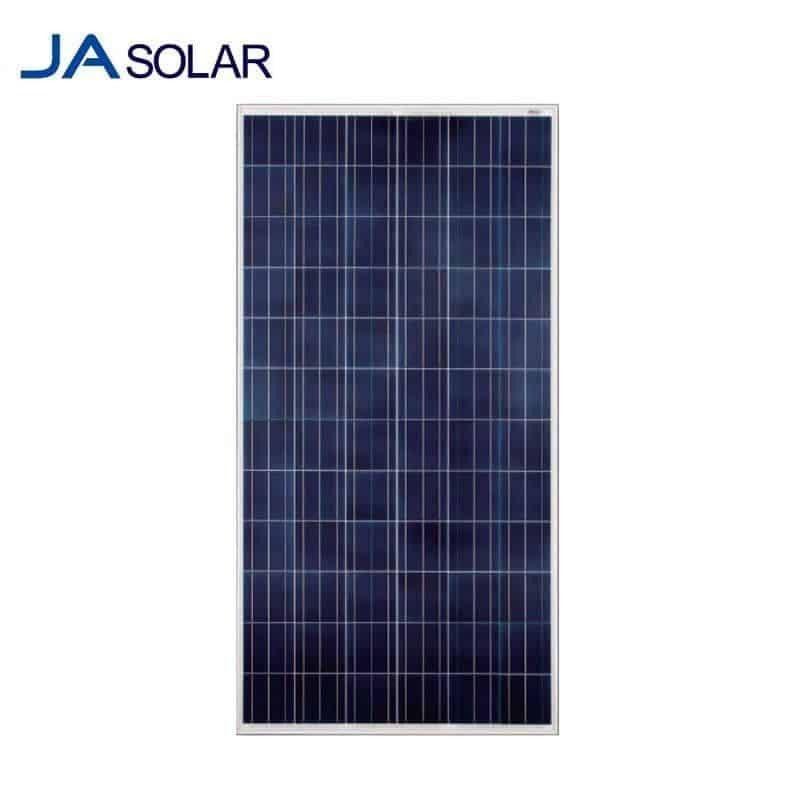 JA Solar Holdings Co., Ltd. is a world-leading manufacturer of high-performance photovoltaic modules for residential, commercial and utility-scale power generation. JA Solar is one of the world’s largest producers of solar cells and modules. The JAP6/72-315 module is one of the best values in the industry and features anti-reflective surface, outstanding low-light performance, high salt and ammonia resistance and a positive power tolerance. 100% EL double-inspection ensures modules are free of defects and all JA Solar modules are PID resistant. These panels have achieved comprehensive certifications including UL1703, CEC, IEC 61215 & IEC 61730. Global Leader in Solar Cell Development R&D JA Solar Holdings Co., Ltd. is a leading manufacturer of high-performance solar products and uses its strengths in PV-research and development to consistently optimize its unique technologies in cell production and model construction. Since 2008, technological development at JA Solar has stayed approximately 6-12 months ahead of competition (industry average.) JA Solar is the first company in the world that started mass production and commercializing PV-cells with selective diffusion technology and passivated emitter rear cells (PERC.) Furthermore, JA Solar is the first manufacturer to apply double-printing technology in all cell manufacturing lines. JA Solar places great focus on the optimization of module manufacturing processes to continuously improve their efficiency and reliability. The power rating of JA Solar’s PV modules in mass production is on average about 5 to 10 watts above industry average.